Grande Island Resort is a recreational resort facility located 110 kilometer northwest of Manila, and south of the Zambales Province. You will find this Resort convenient for a weekend island getaway with its location near the business district of Subic Bay Freeport Zone, or about an hour drive from Manila via the North Luzon Expressway and Subic-Clark-Tarlac Expressway. This 42-hectare hideaway is a protected area and an ideal spot from which to discover Subic. Grande Island Resort is a haven where nature and leisure meet as it complements the scenic natural landscape. Its pristine white beaches are surrounded by crystal clear waters teeming with diverse marine life. Be mesmerized by the fishes, green turtles and colorful underwater creatures that abound on this island paradise. Century-old trees provide homes for a number of bird species endemic to the Philippines. The Egrets and Seagulls breed April to July at the west side part of Grande Island and its adjoining Chiquita Island, a bird sanctuary. Take time to rediscover the ocean, enjoy the nature and have fun in the ground. The Resort offers water sports, adventure tour and leisure activities. If you love the soothing feeling of a gentle breeze, the flap of the waves along the coastline, and the soft caress of golden sand on your feet, then Grande Island Resort is your ultimate destination. Frolic around the island and be enchanted with the picturesque view of the Redondo Peninsula and Bataan Peninsula, which separates Subic from Manila Bay. 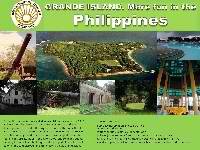 Grande Island played a significant role in the defense of the Philippines since the 16th century. Situated at the mouth of Subic Bay, it divides the entrance in half. Its fine harbor enticed the Spanish government to develop Olongapo in 1885 and fortify Grande Island as a key defense for Manila. The Spanish were indeed correct in judging that Subic Bay was the key to protecting Manila. This assessment is born out of the fact that Admiral Dewey first inspected Subic Bay before attacking Manila in 1898. Judging Subic to be unprotected (the Spanish had not completed arming Grande Island), Dewey attacked Manila Bay. Filipino insurgence troops captured Grande Island and Subic with the aid of the American gunboats Raleigh and Concord. With the signing of the peace treaty between Spain and the U.S., the U.S. Army purchased the 96-acre island and began to fortify it in 1905. The military reservation on Grande Island was given the name Fort Wint in Honor of Brigadier General Theodore J. Wint, U.S. Army. Guns were mounted in the batteries. The batteries were assigned the following names: Warwick (10-inch guns), Woodruff and Hall (6-inch guns), and Jewell & Flake (3-inch guns). The remains of these batteries and some of their cannons can be seen on Grande Island to this day. As a fortress that guarded the entrance to Subic Bay during World War II, Grande Island, formerly known as Fort Wint, used to be a restricted area among locals. 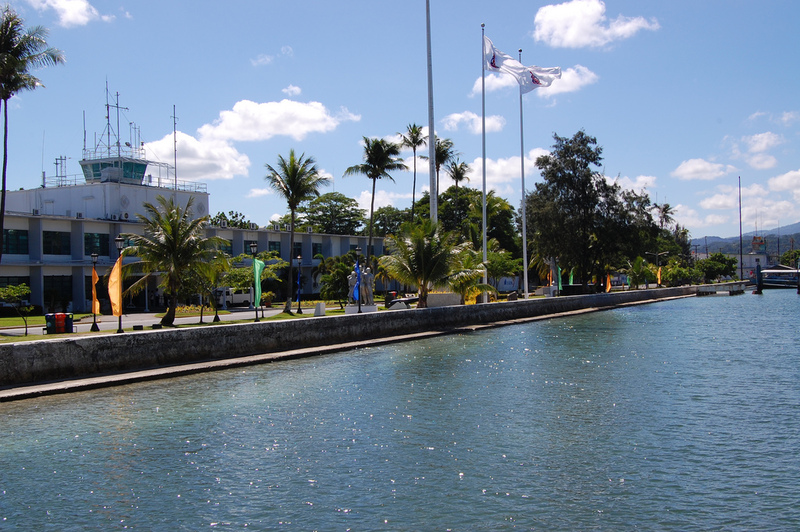 Years later, realizing its potential as an island resort, the Americans developed it to a recreation place that caters the servicemen and their families during their stay in Subic Bay. Today, Grande Island, was transformed into a world-class tropical island resort thru Subic Bay Freeport Zone. The Subic Bay attracts divers because of the five shipwrecks from the Spanish-American War in 1898 and from World War II, which are still in Subic Bay. And on Grande Island Resort there are four (4) dive sites.Near its perimeter from the breakwater on west side lies the 12 ship wreck barges 153-feet deep. On the east side near Chiquita island is the El Kapital shipwreck at 40-feet deep. At the back of Chiquita island, there are a number of Tora-Tora planes buried 200-feet deep.The Coral Reef on the west side fronting Redondo Mountain of Zambales is considered as one of the favorite Subic Bay dive site destinations. Grande Island Resort is located at Subic Bay Freeport Zone and only one hour thirty minutes away from Manila via SCTEX route. By Car (via SCTEX) – Drive to the North Luzon Expressway (NLEX), take the Spur/NLE interchange located between the Dau and Sta.Inez Exits of the NLEX and proceed to the SCTEx Clark Logistics Toll Plaza. After crossing the bridge, follow the loop of the ramp towards Subic. Follow the road directional signage going to the Subic Bay Freeport Zone (SBFZ). Once inside the SBFZ, go to Rizal Highway, turn into Burgos Street (at the corner of Subic Bay Yacht Club) then right on Sampson Road and go towards Waterfront Road where the Grande Island Terminal is located. By Bus – Victory Liner and Saulog Transit regularly ply the routes of Olongapo City. When you get off the bus at Olongapo City, take a taxi cab and ask the driver to bring you directly to the Subic Bay Freeport Zone and to the Grande Island Terminal at Waterfront Road.